The large amount of elastic strain energy locked up in the toughened glass gives it a ‘safe’ fracture when broken. Failure at any point in a piece releases this strain energy by breaking down the stress arrangement, and the energy expends itself in shattering the whole piece into relatively safe small granules. 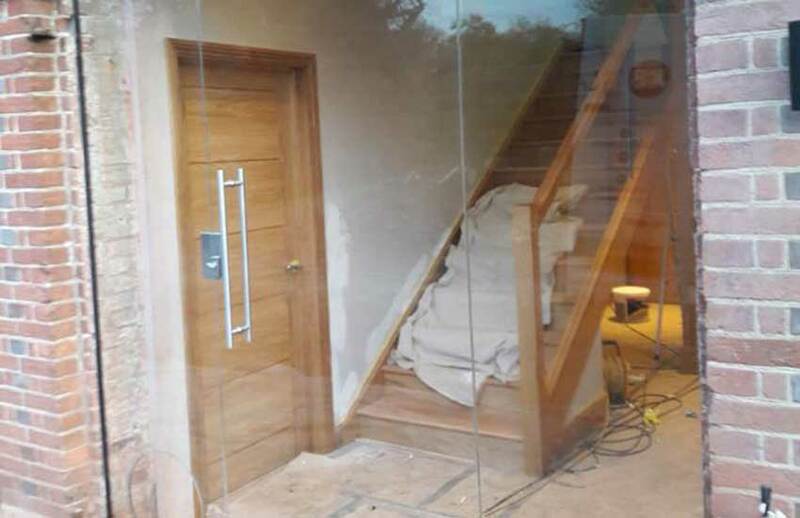 While this characteristic is the justification for adopting certain types of toughened glass as a safety glass as specified in BS6206, care is necessary in the mounting and use of the glass. Nothing must be done which will injure the glass so as to break through the surface tension and break down the stress arrangement even locally. Chipping with a sharp or hard instrument is sufficient to do this: even touching-up the shape of a plate by grinding cannot be allowed: and the glass must always be mounted so that no metal – with the exception of lead, which is soft – or other hard material can make contact with it. 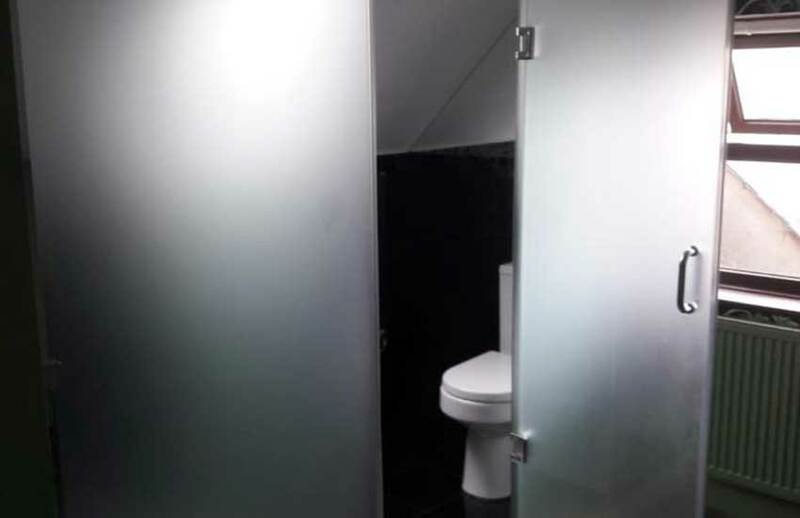 The high surface compression stress makes toughened glass enormously resistant to thermal shock, because it is very difficult to give it any thermal treatment which will reverse this stress. It can be heated to about 250 degress centigrade and have cold water poured upon it; the splashing of molten lead upon it does not affect it and it is in successful use as a protective screen against spurting molten metal from welding processes and in steel works, although the latter applications the molten globules frequently stick firmly to the glass, making occasional renewal desireable. 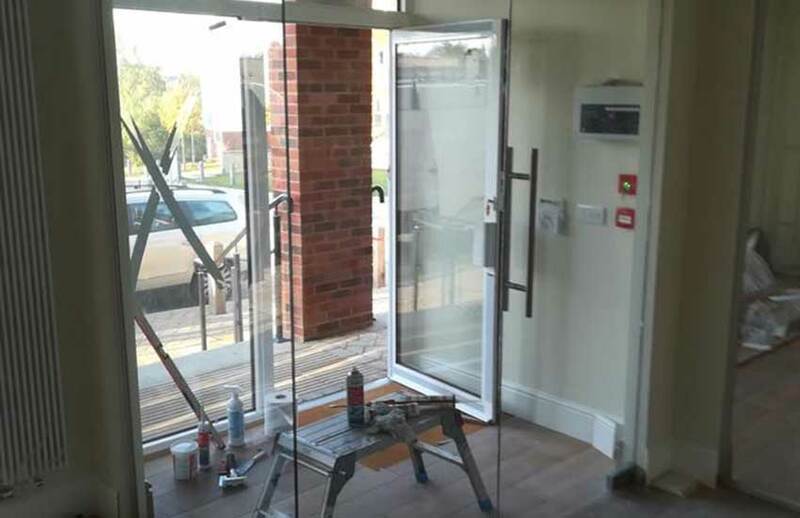 Glazing of doors, low level glazing, roofs. Furniture doors, table tops, shelves, counters, displays, showers. All glass assemblies, curtain walling, balconies.